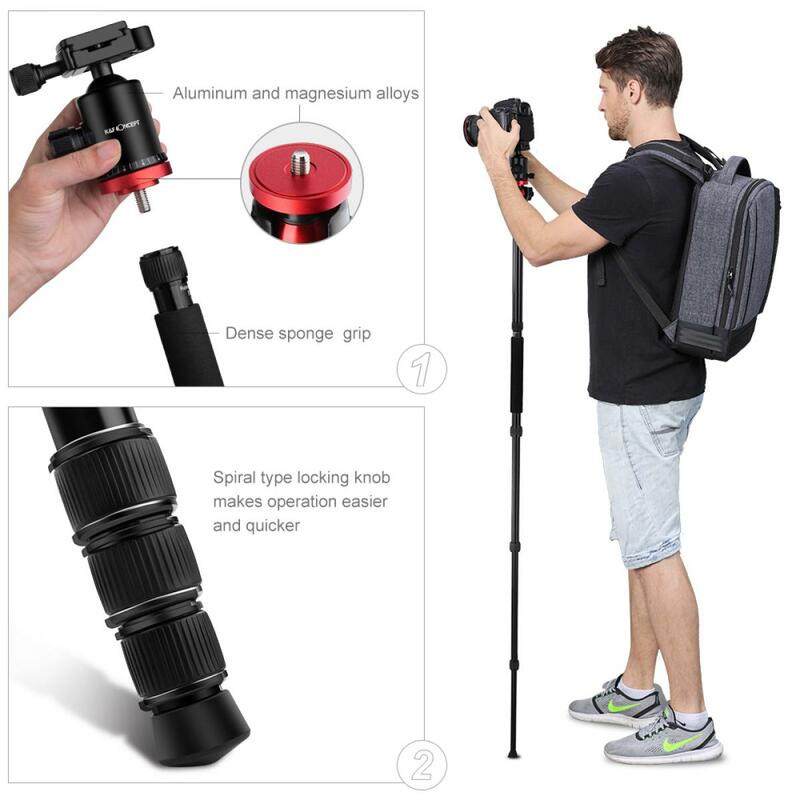 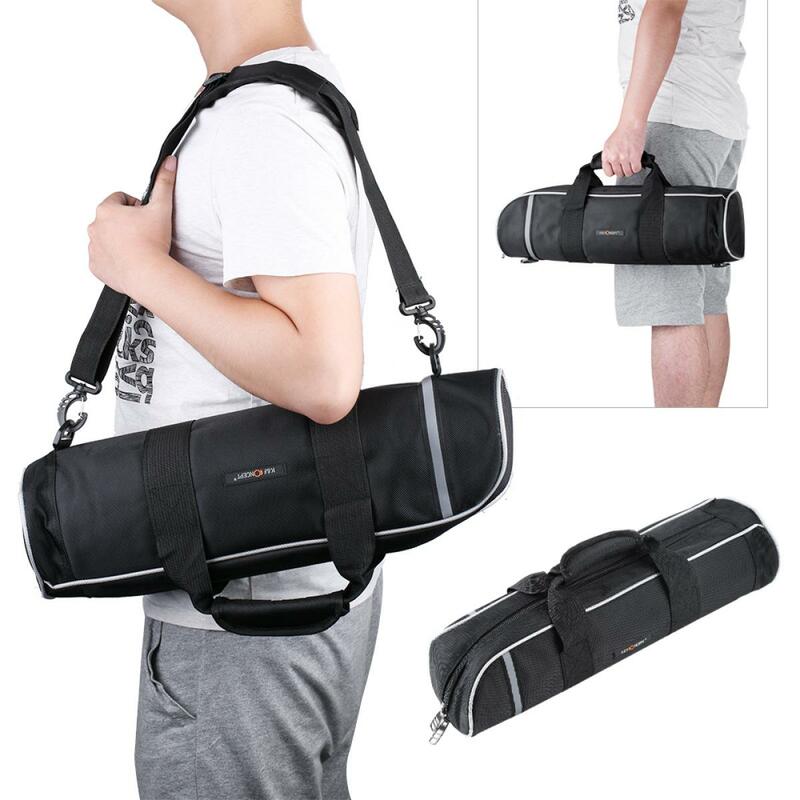 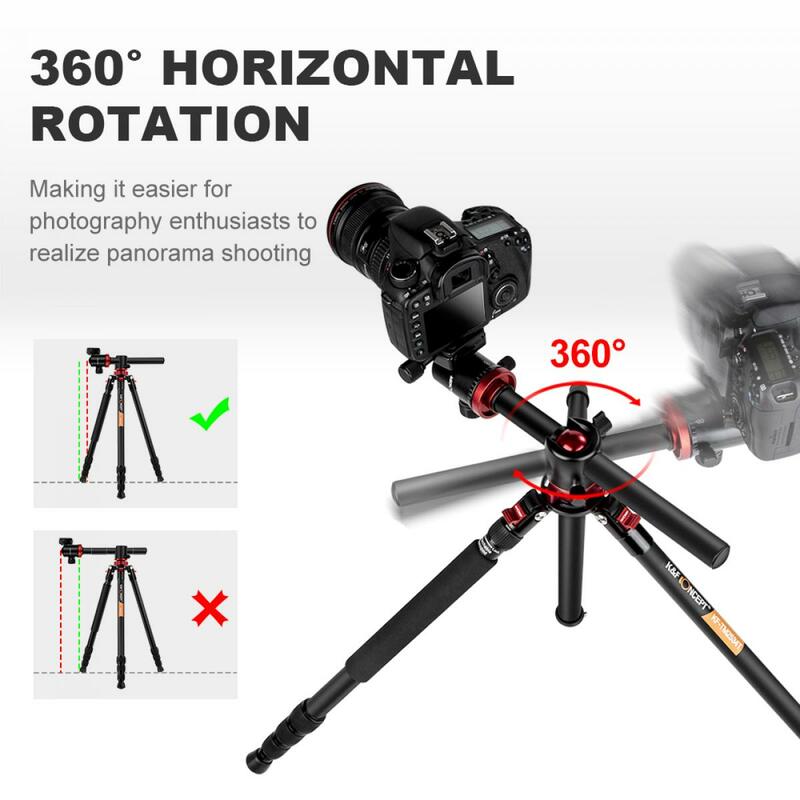 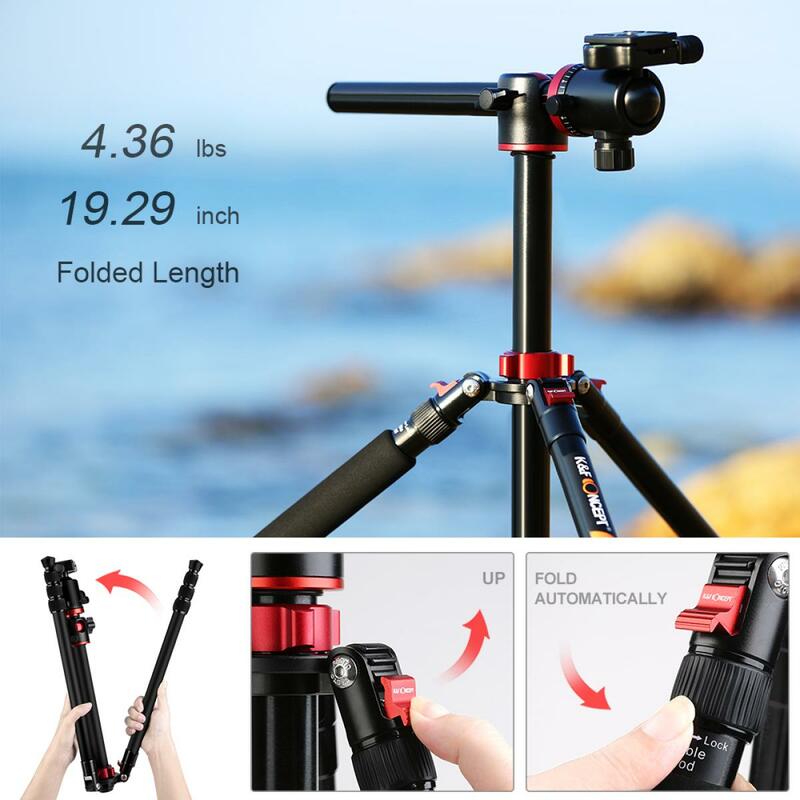 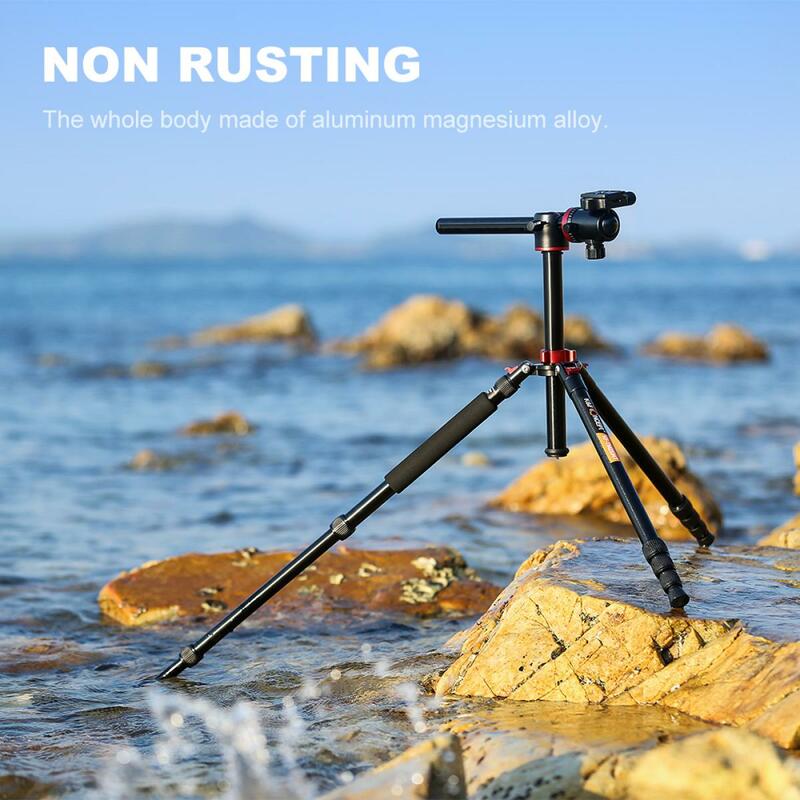 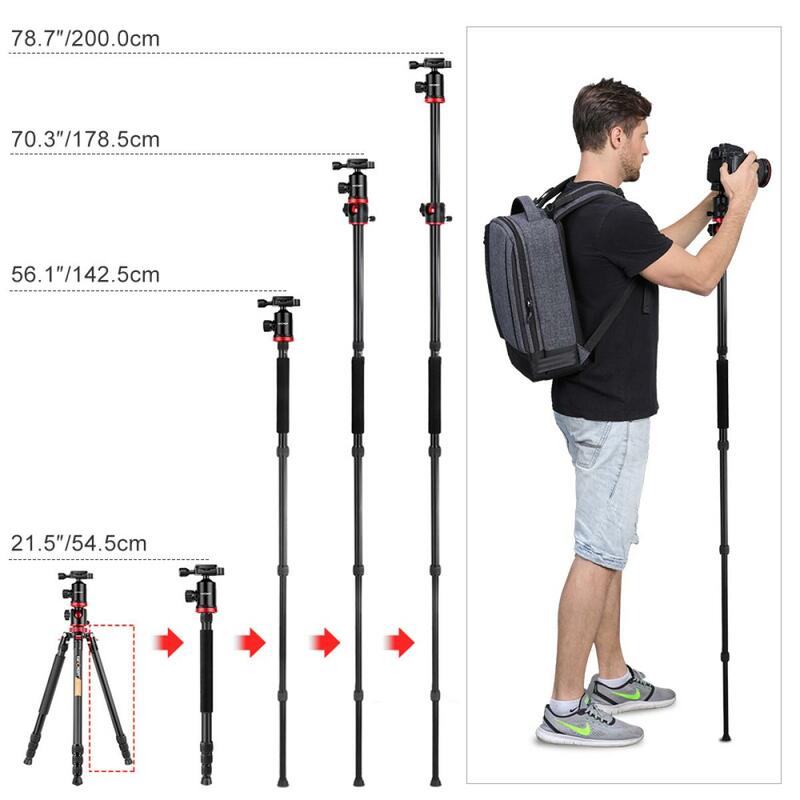 • Compact The tripod legs can be inverted and folded back 180 degrees making it small enough to carry just about anywhere. 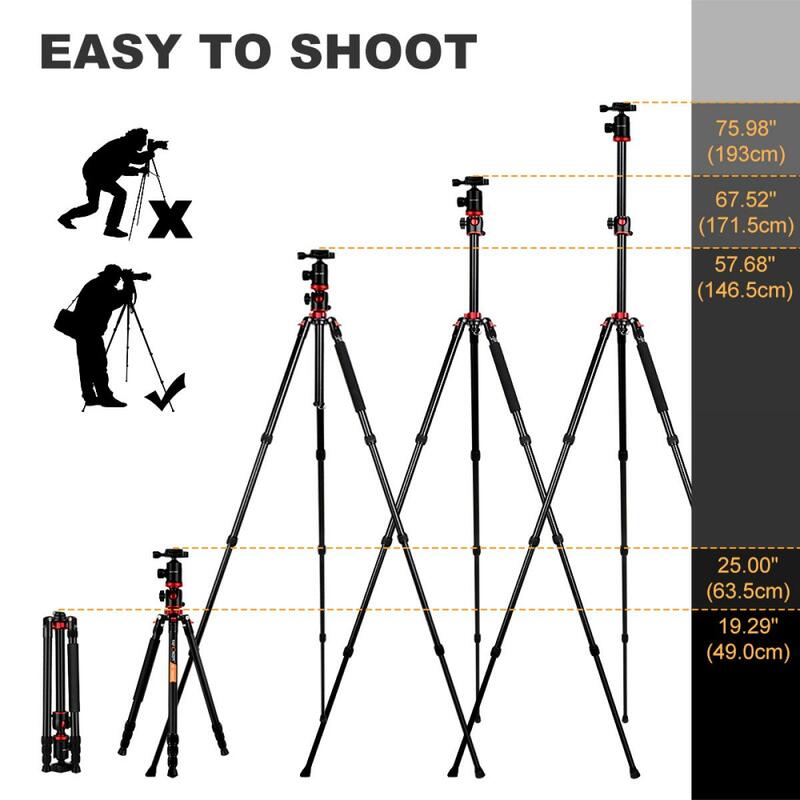 • FOUR Leg Sections: Get the height you need and ultimate versatility. 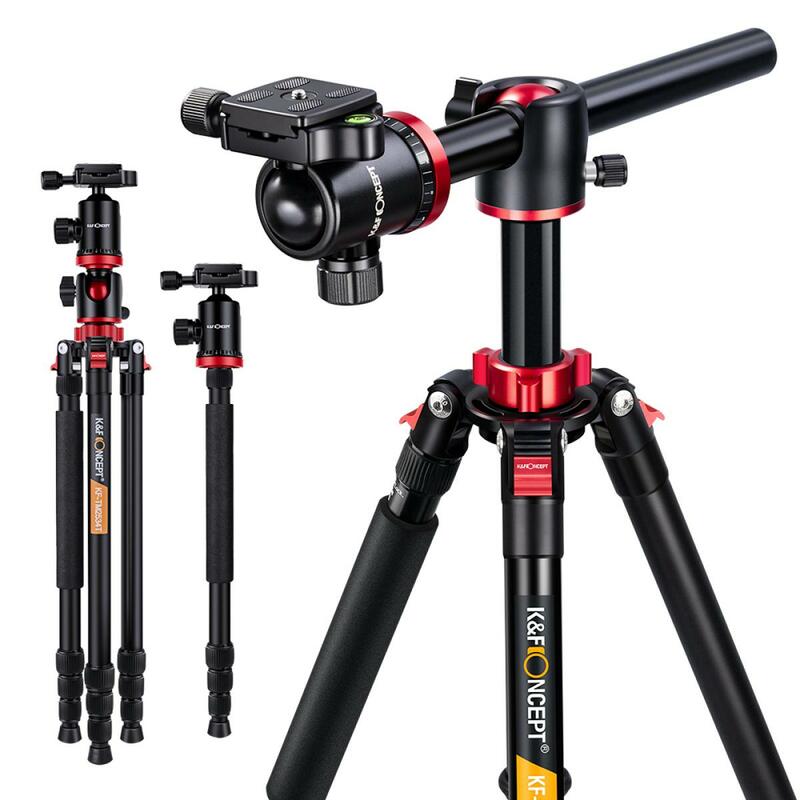 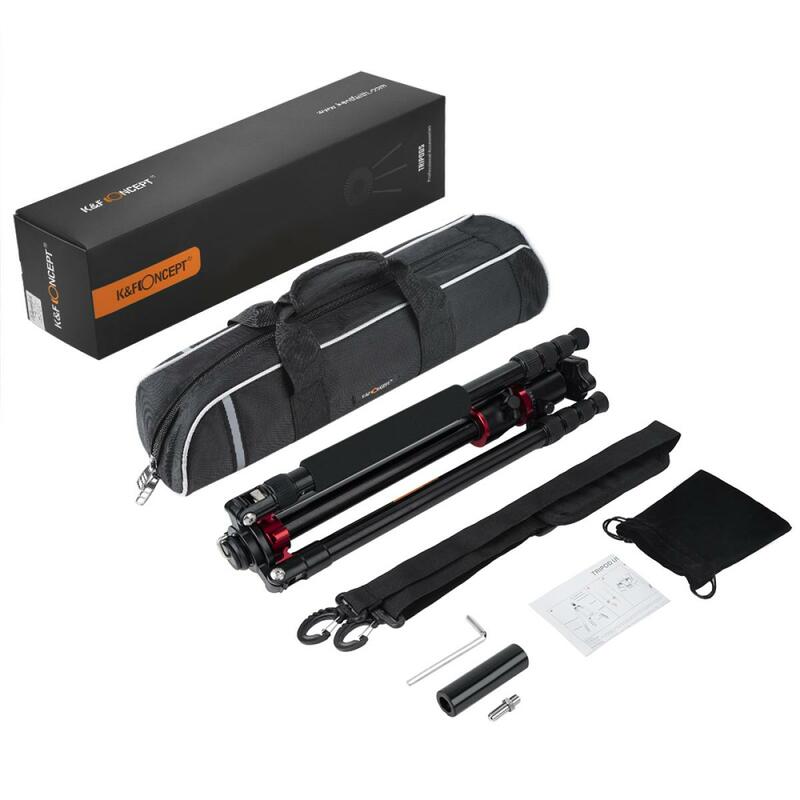 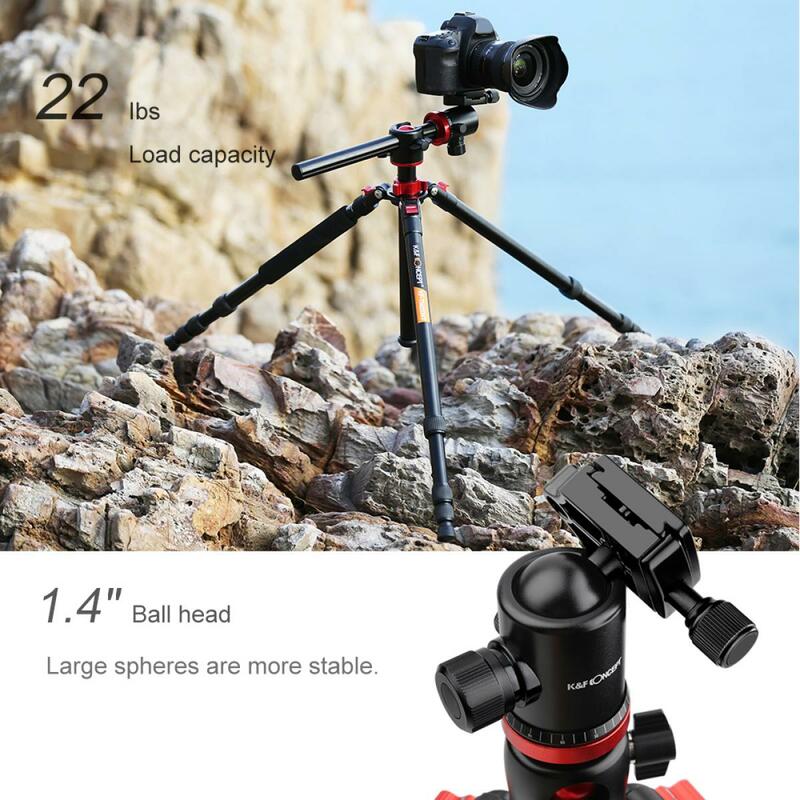 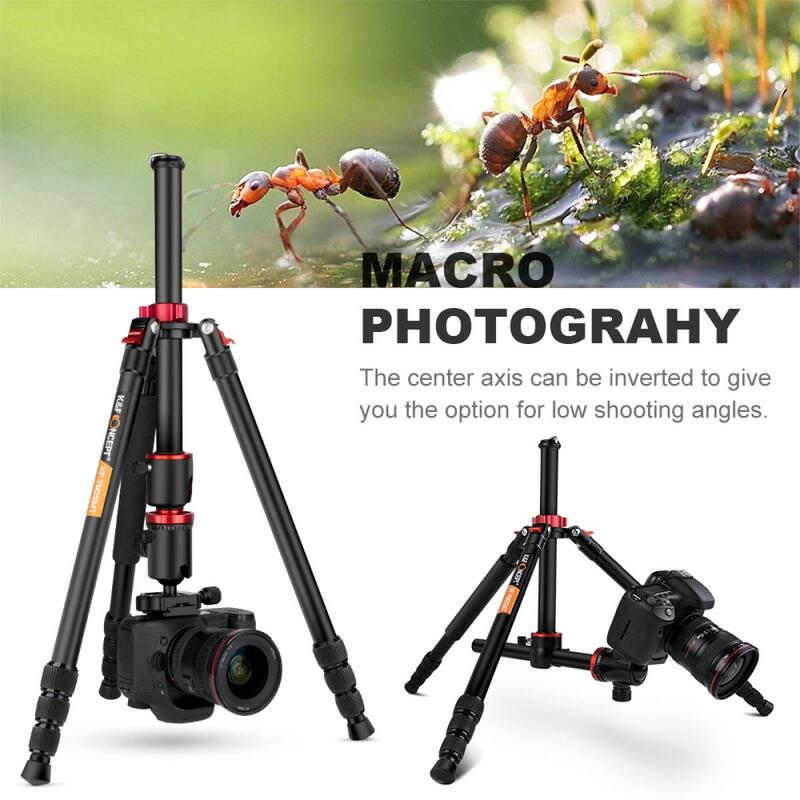 Twist Lock Legs with Anti-Rotation System: innovative rubberized locking grips combined with anti-rotation legs enable fast and fumble free set up plus weather and dust resistance .This complete tripods comes with 2 Sections Center Column: Get the height you need and ultimate versatility.